Happy New Year! To celebrate the new year, me, my mom, and my brother did a movie marathon in which we watched Doctor Doolittle, Marley and Me, and the college football playoff semifinal between Alabama and Clemson. We each chose a movie or a game. Obviously, I chose the football game. 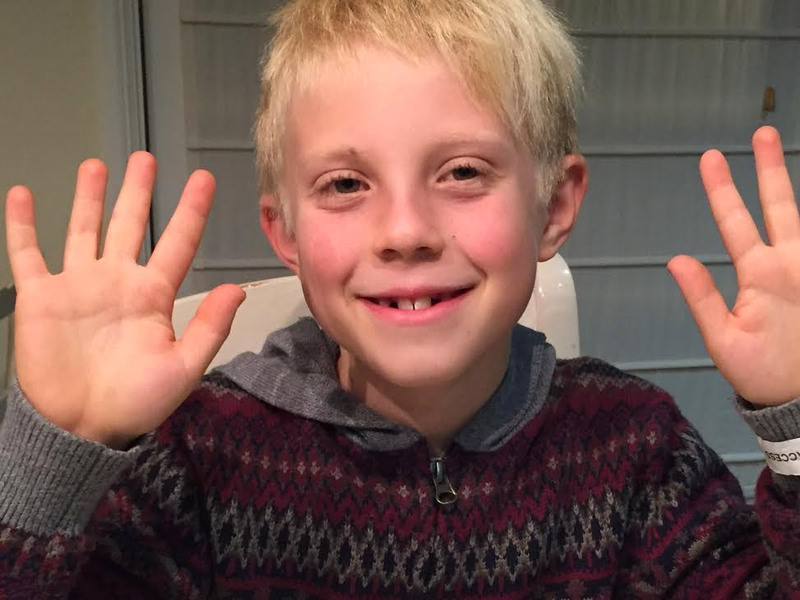 Marley and Me also inspired me to think about being a columnist when I get older. Before this movie, mostly I thought about being a blogger or a sports manager or a professional musician, but now I might want to be a columnist. We also did some clean up around the house because we wanted to start fresh in the new year, did a dance party out on the 14-foot trampoline my mom surprised me and my brother with for Christmas, read some books, and ate the most delicious soft gluten free hot pretzels ever dipped in mustard. That is the product I am reviewing and sharing with you today. 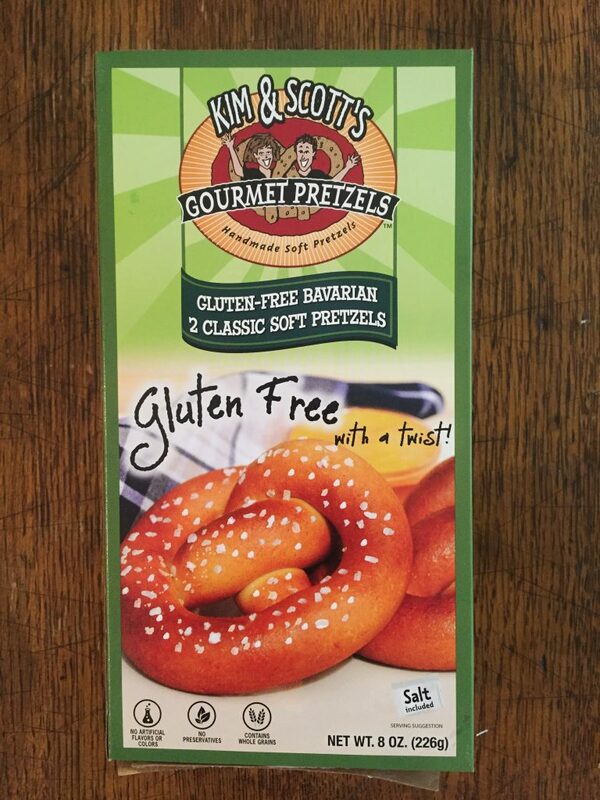 The brand that makes these gluten free, dairy free soft pretzels is called Kim & Scott’s, a brand that makes pretzels, of all kinds, like regular pretzels and gluten free soft pretzels and non-gluten free soft pretzels and pizza pretzels which something I have never heard of but sounds absoulutly delicious. 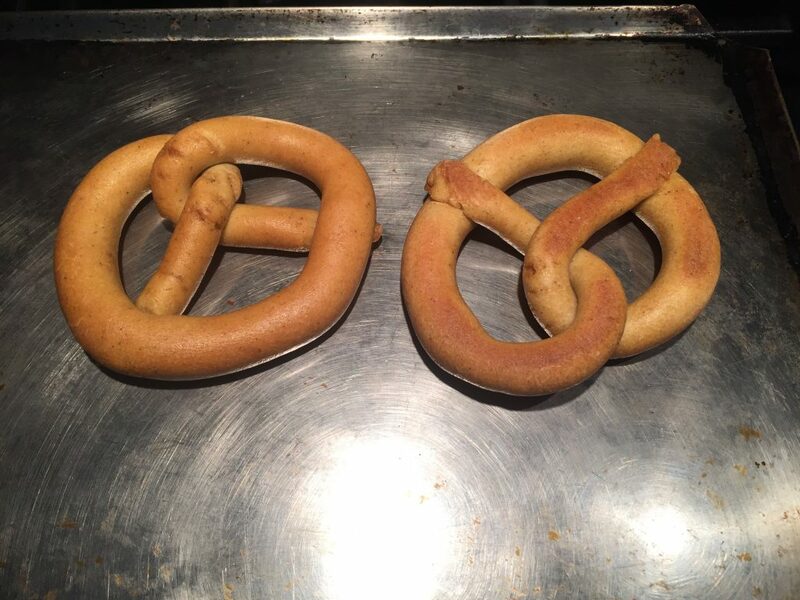 The gluten free soft pretzels cook in 6-8 minutes after you heat the oven up to 350 degrees Fahrenheit. 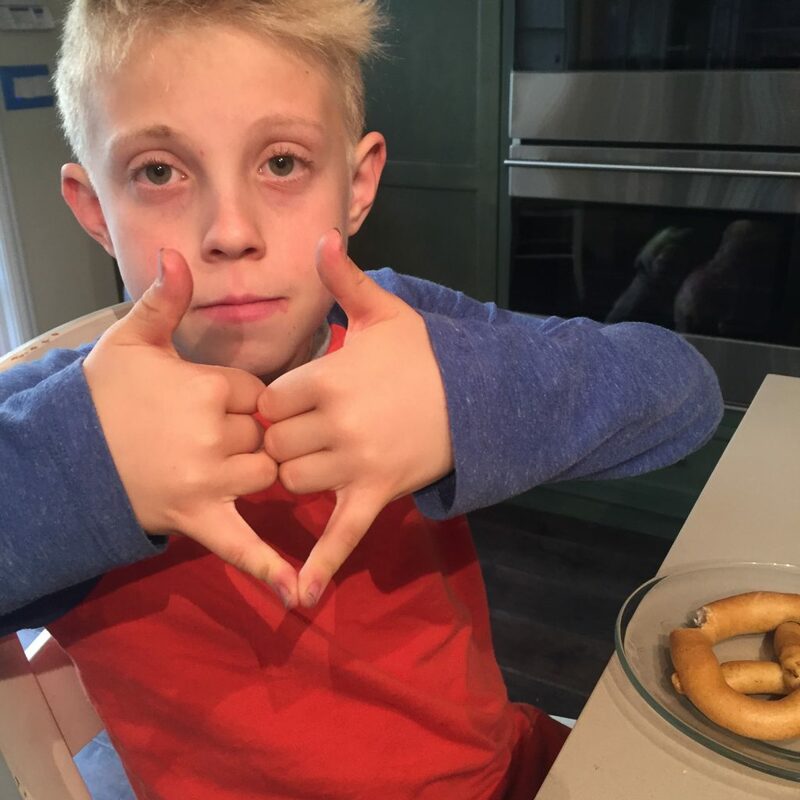 The only negative to point out about the pretzels is that there are only two soft pretzels in each package so it would ideal to get more than one box. 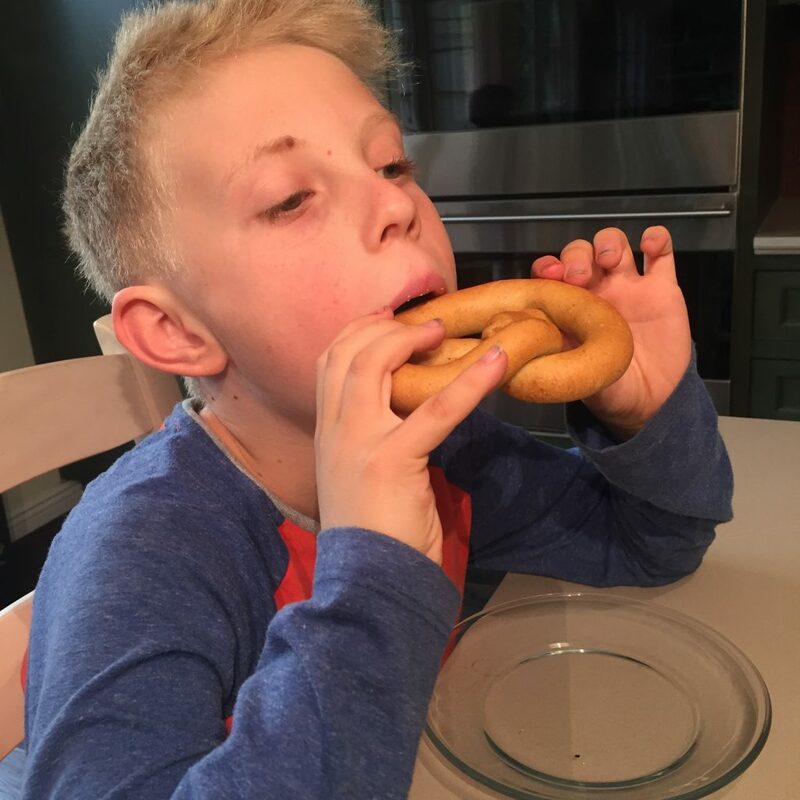 Let’s not pretend that pretzels are healthy but every now and then you need a good old treat. 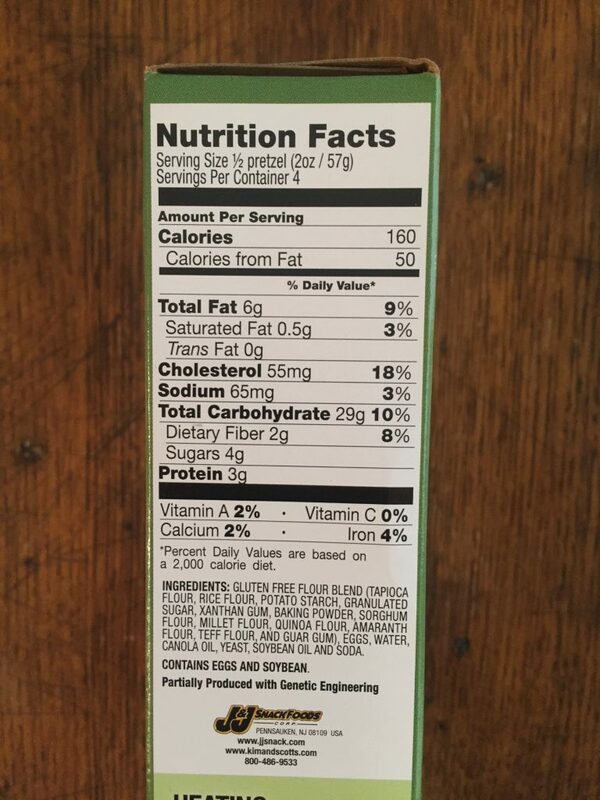 There are 29 grams total of carbs and 360 milligrams of sodium. But the taste makes up for this easily. The soft pretzel in your mouth gives you a savory taste and don’t forget that you can dip these in mustard and a tangy flavor also. The combination can’t be beat. I should point out that eggs are one of the ingredients so they will work for you if you are vegetarian but not vegan. I wonder if the company might consider making another version that is vegan as well. 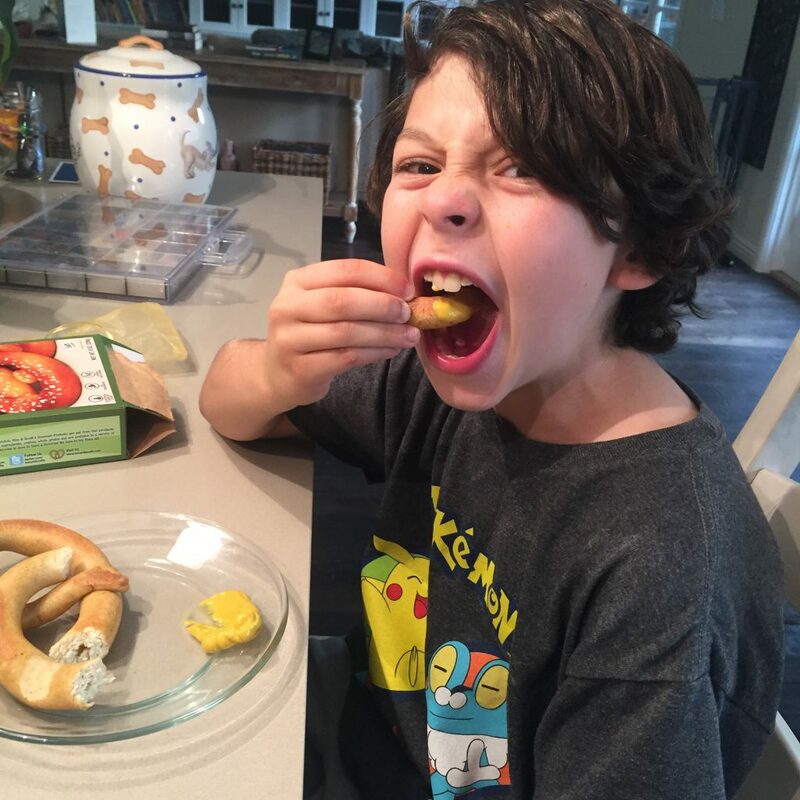 If you haven’t liked pretzels before, or at least soft pretzels before, I can almost 100% guarantee you that these soft pretzels will change the way you think for life. Mmmmmm! I can smell those soft pretzels baking all the way to the Heartland! Yummy! Thanks for this suggestion.